A good thing to do is to pay attention to fabrics, by choosing the right ones. Look for natural fibres like linen, bamboo and cotton. 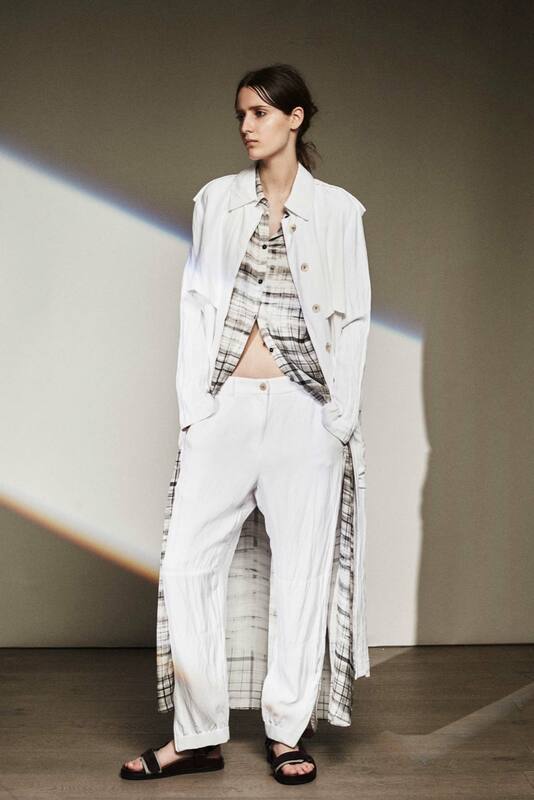 The last 2016 Resort collections presented many inspiring androgynous looks. For summer or to diversify your wardrobe, I chose 3 silhouettes by Wes Gordon, Diesel Black & Gold, Preen by Thorton and Joseph. I am still looking for the perfect crew neck, but this oversized v-neck brings a bit of change. Worn alone, with nothing underneath, it is perfect for chilly summer nights or for a first date. Plus, that type of top is usually easy to find in the boutiques’ men department or in second-hand stores. Comfort is essential when I dress, but the classical skinny/t-shirt combo is too often my solution. This look, presented by Diesel Black & Gold, is the perfect marriage between practical and chic. If you combine the shirt and the classic vest with a casual pair of pants, it balances the look. I love to wear black because every detail gets the attention it deserves and this look by Preen by Thorton is the perfect exemple. The Japanese inspiration and the white stitching impel a second look. A piece of advice : if you are looking for an unusual black garment think of an asymmetrical cut and structured fabric. When it gets super hot outside, my first reaction is to dress lightly, usually going for a tank top and a pair of shorts. A good thing to do is to pay attention to fabrics, by choosing the right ones, like with this Joseph ensemble. It keeps you fresh and it looks good. Look for natural fibres like linen, bamboo and cotton.